After a rather somber episode following a six-game losing streak against the Indians and Rangers, the long layoff may have helped, as the Tigers appear to have turned things around just in the nick of time. With a four-game winning streak in tow, your fearless co-hosts talk about the week that was in Tigers baseball, look ahead to the next month of action, and talk about how this Tigers team is shaping up after 40 games. Notably, manager Brad Ausmus is still around, the offense is starting to perk up, and the bullpen's mini-implosion was just that. Did we mention that Brad Ausmus is still around? Among the more important developments in the last week was Steven Moya's call-up. Were the naysayers right about the Tigers' most divisive prospect, or has he actually turned a corner? When will Shane Greene return to action? Can the Tigers get to the playoffs with this starting rotation? All of these questions (and more!) are covered in this week's show. - Playing the Twins is fun! 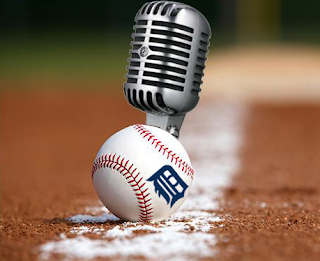 - How many former Tigers pitchers can you name? - Why is Brad Ausmus still here? - Who could actually replace Brad Ausmus? 41:23 - Warming in the Pen: put on your Smyly face! 1:04:50 - High and Tight: Fire Ausmus! Wait! No, don't! 1:33:57 - Into the Mob Scene at Home: goodbye to Gose?